Have you looked out onto the water and said “how much fun would it be to go surfing?” We do that all the time. With Surfboards being extremely expensive, it makes it very hard to get on the waves. Well, we have a solution for you. Make your own! Not only can you make your own surfboard, but you can do so for an inexpensive amount! So, get yours today and get out on those waves! The Six and a half foot surfboard kits come with everything you will need to get you to the beach. The first piece is the surfboard blank itself. The blank is 6’, 6” long, and has a spine down the middle for stability. The kit also includes a gallon of our clear surfboard resin and the hardener that goes along with it. The kit also includes the 4 oz surfboard cloth to wrap the surfboard. With all those products you can glass your surfboard, even add pigment to the resin if you so choose, and you can have your homemade surfboard out on the waves in no time. 1. 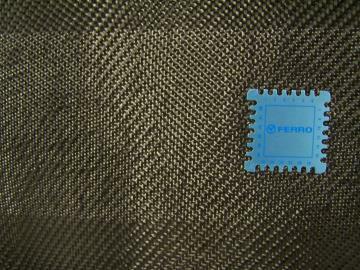 Carbon fiber must be used with epoxy or Vinylester Polyester Resin for maximum performance. 2. We recommend practicing with a standard fiberglass cloth before attempting your project with carbon fiber. 3. Carbon fiber will not lay down on a hard curved surface without vacuum bagging.